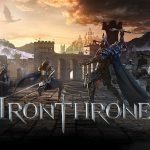 War of Thrones is an addictive strategy MMO dragon war game, which is available for iOS and Android platforms. 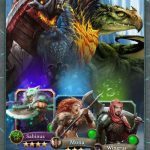 This immersive mobile game by Simpy combines strategy, dragons, and the social qualities of massively multiplayer online gaming in one title. 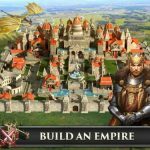 There’s also some city building here, as you can construct your own castle and “customize your own kingdom.” You get to train a tough and fighting army and recruit heroes to lead them, tame dragons to serve as the deciding factor in battle, and forge alliances as you compete against millions of other players from all over the world. That’s War of Thrones in a nutshell, and now that you know what the game is about, let’s move on to what we’re really here for – our dedicated War of Thrones cheats and strategy guide that tells you all you need to know about how you can gain an edge in the game. This is probably the tip we always share in this type of mobile game – if you’re lost, and if you don’t know where to go next, your best bet is to follow the quests. You’ll see on the top of your screen a ticker box that corresponds to your main storyline quest, and while this is an MMO title, you should work towards completing the main story. That’s going to keep you abreast of what needs to be upgraded and what you need to do next. Tapping on the quests button will pull up a list of quests, and as you’ll see, the main quest thread isn’t the only one you can follow. There are also Daily Quests, Alliance Quests, and VIP Quests – all of these are timed, meaning they’re only available for a limited period of time. Start a quest for each category so you can constantly be collecting rewards. Like in other RPGs, you need resources to keep your city going, and that means you should focus on regularly upgrading your farms, quarries, and lumber mills. 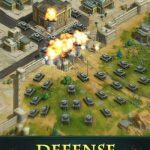 This will ensure that you’re always making the maximum amount of resources, and since resources can be used to upgrade your buildings, it’s your resource-making buildings that should take top priority when you’re upgrading. Leveling up will earn you skill points, and you should by all means use them toward your different skills. Building and Research will be your starting skills, though you’ll get more as you level up in the game. You may notice from time to time a golden chest appearing at the bottom right corner. That’s your mystery gift, which pops up every three minutes, give or take a few – open the gift, and get yourself free gold, resources, or anything else you can use to your advantage. Of course, this wouldn’t be an MMO without something multiplayer in it, right? That multiplayer element involves joining or creating an alliance, which would allow you to trade resources, help each other when fighting off enemies, and do so much more.